LaToya goes to Spain where she gives an interview to Alfonso Arus. Michael records a demo version of What More Can I Give with Luciano Pavarotti. Janet shoots the video for I Get Lonely directed by Paul Hunter and featuring the Blackstreet. LaToya appears as herself in an episode of MADtv. Michael wins the copyright infringement case against Al Bano Carrisi for the song Will You Be There. Janet opens the American Music Awards ceremony with an amazing performance of Together Again in a R&B version. Michael & Janet see each other for the first time since December 95 in a Los Angeles hotel and MJ introduces his son Prince. Michael has dinner with Lisa Marie at the Ivvy Restaurant in L.A.
Adrian Grant holds an exclusive interview of Michael in his hotel suite of Los Angeles. Michael & Omer Bhatti host a party for Prince 1st birthday. Michael goes to Seoul to attend the investiture ceremony of President Kim Dae Jung on the 25th. Janet tapes a piano/vocal performance of “I Get Lonely” on the Rosie O Donnell Show and Rosie presents her with the Grammy Award she won the night before. “I Get Lonely” is released as the 3rd single from “The Velvet Rope”. Janet performs “I Get Lonely” at the Soul Train Awards. Janet & the Kids rehearse for the new tour in Los Angeles . Janet gives an interview to BET from her Malibu beach home. An order is entered by District Judge Carl J. Christensen at Clark County, Nevada dissolving the marriage between LaToya and Jack Gordon and awarding LaToya royalties and property. The order concludes with a response to Jackson’s petition for a restraining order against Gordon; it is ordered by the court that Gordon and Jackson are both strictly prohibited from going within 100 feet of each other, each other’s work place or residence, or any member of each other’s family. Gordon is ordered to provide Jackson with a $350,000 settlement and pay $15,000 to cover Jackson’s attorney fees. Michael goes to Vienna with Prince Michael Jr. They go to Munich where Michael visits his friends Anton & Francesca and also Marcel Avram, his former concert promoter still in jail. He also takes Prince Michael Jr to the circus. In NYC, Janet gives an interview on CNN’s Larry King Lve. At night she & Rene attend the Blockbuster Awards in L.A where Janet is presented with an award. Birth of Paris Michael Katherine Jackson, second child of Michael & Debbie at the Spalding Pain Medical Clinic of Beverly Hills. Michael attends the birth and then takes his baby girl to Neverland where Prince is waiting with Grace, Pia, Omer & Connie Cascio. Laurent Hopman holds an exclusive interview of Michael in his hotel suite of Los Angeles . Michael goes to the Virgin Islands with Don Barden , his new business partner with whom he wants to build casinos! During the the Forum Summit, Michael has a private meeting with President Larent Kabila of the Democratic Republic of Congo. Michael & Don Barden go to Las Vegas . “Go Deep” is released as the 4th single from “The Velvet Rope”. While in Paris, Janet gives a radio interview to NRJ (she is a bit sick after cancelling last night concert in Germany but the radio host comes to her hotel). Michael arrives in Detroit with Don Barden where he is welcomed by hundreds of fans! Michael & Don give a press conference in Detroit to announce a Casino project named Majestic Kingdon. Janet & Collin Powell from ‘s Promise meet youth in a school. They give a secong press conference to support their project. Michael & Don go to New York to speak with potential financers. Janet gives an interview to Good Morning America. Michael attends the 80th birthday banquet and wedding of Nelson Mandela with Stevie Wonder among others. Michael attends the Kick Boxing Champion All-Star Match. Michael holds a press conference in Tokyo to announce a new Japanese Company Wonder World – Land Of Toys . Michael returns to Detroit to convince the people to vote for his casino project. Michael and Stevie Wonder visit the Motown Museum in Detroit with Berry Gordy’s sister Ester Edwards. After hearing that his project was rejected by the people of Detroit , Michael returns to Las Angeles. Michael attends Janet’s Velvet Rope concert in L.A with the 3T. Michael starts recording news songs such as “A Place With No Name”, “Break Of Dawn” and “Blue Gangsta” at the Record Plant Studio in L.A with producer Elliot Straite aka Dr Freeze. Michael spends his 40th birthday with the 3T at Janet’s concert in Las Vegas . He is recording 2 songs with the 3T for their new album. “You” is released as the 5th single from “The Velvet Rope” along with a live video. Michael records his lead vocals on “A Place With No Name” at Record Plant Studio in LA. Janet is on the cover of Rolling Stone magazine. In New York City , Janet records the duet I Know The Truth with Elton John. Janet makes a surprise appearance on the Rosie O Donnell Show in NYC to promote her upcoming HBO Special. This is Janet’s big night. She performs a concert at the Madison Square Garden live on HBO around the world. Q-Tips does his rap on Got Til It’s Gone and backstage Janet meets Usher, Missy Elliot & Busta Rhymes among others. Michael & Debbie go to the Getty museum in Los Angeles with Prince & Paris. 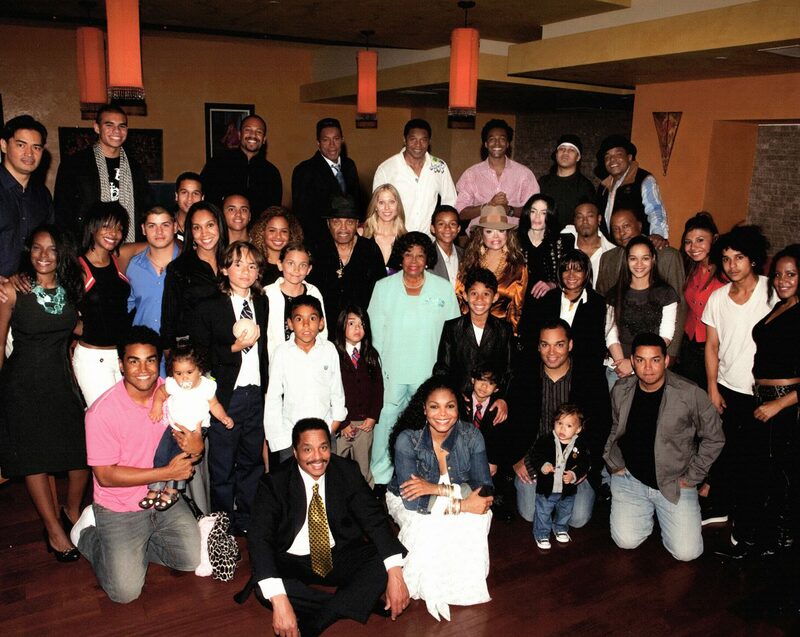 Michael goes to Souh Africa with his kids as well as Lisa Marie & her kids and together thay attend a Janet’s concert. “Everytime” is released as the 6th & final single from “The Velvet Rope”. 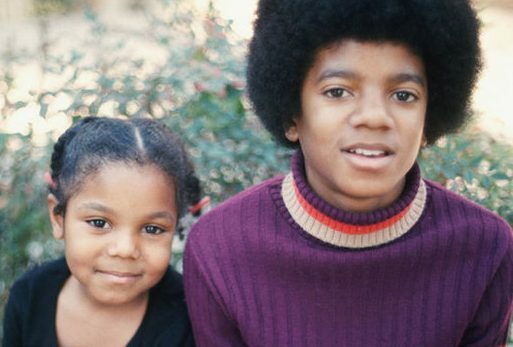 Michael spends Thanksgiving at Hayvenhurst with the Jackson family + Lisa Marie & her kids. Michael & Debbie attend a dinner in honour of Dr Arnold Klein. Michael attends the Grand Opening of Royal Towers of Atlantis resort in with his friend Gerry Inzerillo. He goes on stage to perform Heal The World with a group of children. Michael takes Prince & Paris to visit the Hiltons grandchildren in New York . Janet, Rene & the Kids leave Australia and fly back home for the holidays. Michael celebrates Christmas at Neverland with Prince, Paris, the Cascios & the Bhattis.